Padmakar Santape, born 1973 in Nagpur in the western Indian state of Marahashtra and the early signs of his artistic talent was recognised through the BFA in Painting which he gained in 1988. His work has been honoured through several solo shows including Taj Art Gallery and Designscape Gallery, Mumbai and at Bank of America, New Delhi. 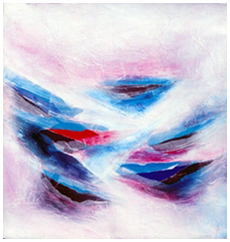 Rice paper overlaid over oil is one technique that he uses to particularly good effect and the depth and originality of his work has won him many admirers. Padmakar's awards include a Research Grant from the Lalit Kala Academy, New Delhi and a recent Govt. of India Fellowship. 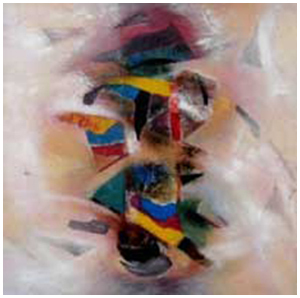 His work is exhibited in many public and private collections including major Indian corporates such as Reserve Bank, Air India etc.